"I can fit I can fit I can fit I can fit I can fit I can fit I can fit I can fit I can fit I can fit I can fit I can fit I can fit I can fit I can fit I can fit I can fit I can fit ... "
2. When you race to the bedroom after hearing a sudden crash. 3. "Put that camera down and get over here already." 5. Friend: "All cats love donuts." Me: "Hmmm, I can think of a hole in that theory." 7. 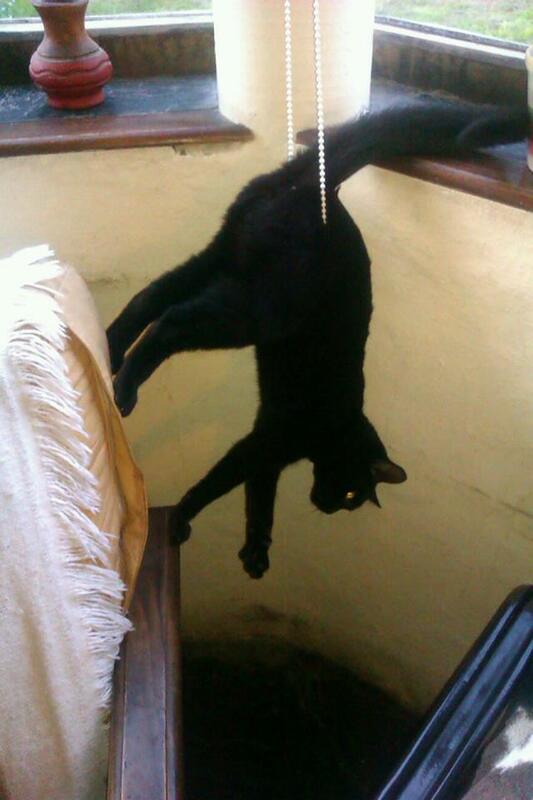 "My friends cat got its head stuck in a vase, freaked out, broke the vase, and was left with this." 8. "Regrets? Nah, never him of him." 9. Asking, ya know, for a "friend." 11. "Hello darkness, my old friend." 12. Well, this puts a new spin on "stuck on traffic". 13. Hammock 1, dog 0. 14. 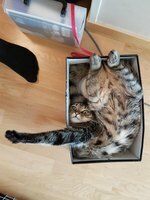 "I guess this is my life meow"
15. Heckin leashes, how do they work? 16. [Extreme Gandalf voice] "A cat is never stuck, it will leave precisely when it means to." 17. When tasting the rainbow goes wrong. 19. These hijinks brought to you by curiosity. 20. When your pup chases a bouncing tennis ball into the corner and transforms into a furry pretzel.